As some of my readers already know, I am the co-founder of Tutorhub, the specialist online tutoring website based in Bristol, UK. 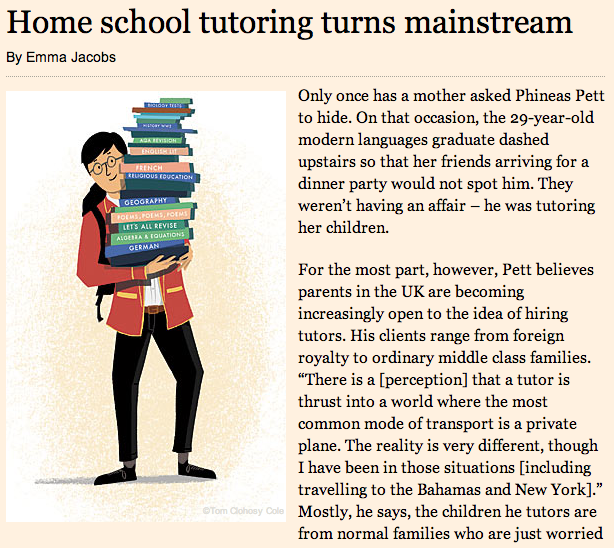 I last posted back in September 2011, about the emerging web businesses starting to focus on the online tutoring market in the UK. Back then there were a few businesses: Home Tutoring Online, Brightspark, Dizeo, Maths Doctor, Exam Fox, Live Tutor and Meteor Online Learning. 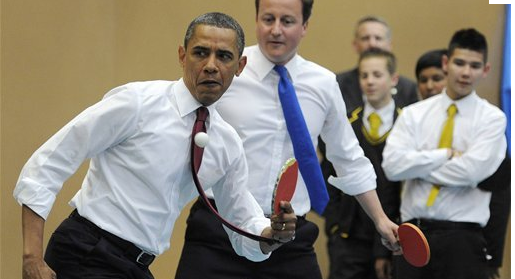 So in the intervening period, what has changed? There have been a number of changes. Exiting from the market are Brightspark, Home Tutoring Online, Dizeo and MyTutor. Whilst Exam Fox are now the Tutor Crowd. We at Tutorhub have been working hard at working out what customers want and how best to achieve product : market fit. The obvious question, is has anyone else ‘nailed’ the customer proposition, to which the honest answer I think is ‘no’ – this is a classic ‘new product in a new market’. There are three things that I believe we all have to get over. 1. There is a perception amongst some customers that online tutoring ‘must be’ in some way inferior to traditional face to face tutoring. We have conducted extensive research that demonstrates that this is every bit as effective. We will be expanding on this in due course. 2. The online tutoring technology isn’t particularly appealing to students or tutors, based on generic meeting based third party platforms. There are no compelling product delivery platforms out there at the moment in my opinion, which is why we will be launching a new online tutoring platform soon. 3. Pricing is a barrier. 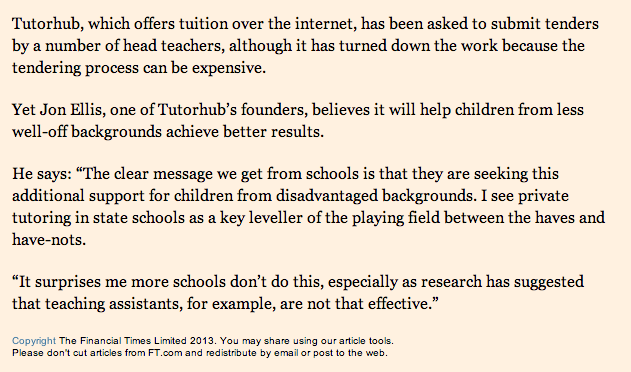 People expect online tutoring to be cheaper than regular face to face tutoring. The Tutorhub platform shows a hourly price range not that dissimilar to face to face tutoring. This does not create a compelling reason to swap from a face to face to an online tutor. Tute’s £5 for 45 minutes online tutoring, is a move in the right direction I think. This is an interesting market, which I think will develop and grow. 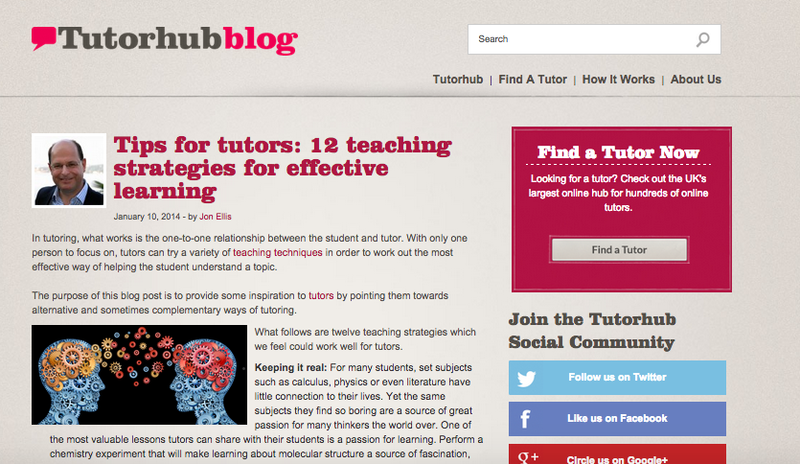 I think that we at Tutorhub have the plan to deliver the most compelling customer offer – watch this space. I am repeating my post on the Tutorhub website here, as I think it bears further exposure – maybe some of you will be as annoyed by it as me, who knows…. Students from high attaining comprehensive schools are far less likely to attend top universities than those from independent schools. So say the Sutton Trust in their report ‘Degree of Success’. What proportion of these applications are accepted? But what do we as a nation do to correct this? Surely bright children from poor backgrounds should be given the same chance as kids from more affluent backgrounds? Can we expect much to change anytime soon? My belief is that increasing tuition fees will only serve to reduce state school applications still further, and that without proactive selection procedures at Oxbridge, nothing is likely to change.